The duties of the Officers of the SOCIETY shall be those listed herein. The Officers shall also perform other duties assigned to them by a majority vote of the members of the SOCIETY. Officers and Committee members must be current dues paying members of the SOCIETY. The President shall lead the SOCIETY toward achieving common objectives established with the Executive Committee for the year. The President shall: (a) Develop all meeting agendas and preside effectively at Executive Committee and General Member Meetings, (b) Call and preside over special meetings of the Executive Committee, (c) Supervise and coordinate all SOCIETY activities, (d) Assure the holding of the Annual Meeting, as called for in these Bylaws and (e ) Appoint a Special Committee to perform an Annual Audit of the Treasurer’s records. The results of the Audit will be shared with the membership. The First Vice President responsibilities shall be to: (a) Act on behalf of the President in his/her absence. (b) Schedule, and arrange a location for monthly Executive Committee and General Member Meetings for a given calendar year by meeting with any location management to acquire monthly meeting dates. When possible, the General Member Meetings will be scheduled for the second Saturday of each month at 1:00 p.m. (c) Program events need not be limited to one event per month, but can include visitations to other genealogical groups and/or libraries. (d) Schedule, arrange and execute programs for monthly General Membership Meetings which include the suggestions, interests and talents of the membership. Every effort should be made to schedule Programs ninety (90) days in advance of their scheduled date. (e) Strive for high acceptance and attendance for each presentation. (f) Emphasize program content which includes genealogical tools and techniques. (g) Maintain an ongoing inventory of all property and make a proper accounting thereof as defined in ARTICLE VIII Section 1 of these Bylaws. 2nd Vice President responsibilities shall be to: (a) Act on behalf of the President and 1st Vice President in their absence. (b) Maintain a SOCIETY roster of paid members and publish an annual Member Directory. (c) Maintain membership application information including: research software used (if any); Surname(s) searched, with supporting geographical areas of research and dates for each surname. (d) Maintain records, in conjunction with the Treasurer, of dues payment. (e) Generate opportunities and ideas for recruitment of new members. The Treasurer has these duties to fulfill: (a) Maintain a constant and accurate record of all SOCIETY financial transactions. (b) Organize all accounting and budgeting procedures for the coming year. (c) Provide records in support of the Annual Audit. (d) Assist the President as needed. Operating policies should include: (1) To never retain cash in excess of $50.00. (2) Be certain the SOCIETY bank account is in proper order. (3) Deposit all funds immediately. (4) Always give a receipt upon receiving payments to the treasury. (5) Keep the President, and all others concerned, informed of the SOCIETY’s financial position. (6) Collect dues and other money from projects, gifts, etc. (7) Prepare an annual operating budget to present to the Executive Committee for approval and to the SOCIETY. The Secretary’s responsibilities shall be to (a) Maintain all SOCIETY records. (b) Record and keep minutes of all General Member and Executive Committee Meetings and provide copies to the Executive Committee. (c) Maintain all SOCIETY correspondence. (d) Maintain copies of the SOCIETY governance documents, including the Constitution, Bylaws, and Policy and procedures Manual. (e) Assist the President as needed. Neither an Officer of the SOCIETY nor a member of any Standing Committee or Special Committee shall receive any compensation for services. All expenditures, such as postage, office supplies, etc. shall be presented to the Executive Committee for approval, unless previously approved in the annual budget for immediate payment by the Treasurer. Any non-budgeted expense exceeding $50 must be approved by the Executive Committee. The Treasurer shall include those expenditures in the monthly report. A report may be made by the President, the Vice-President(s), the Secretary and the Treasurer at each General Member Meeting, as appropriate. The terms of office of the President, Vice-Presidents, Secretary, and Treasurer, shall be two years or until their respective successors are elected. The election of Officers shall always be held in connection with the required Annual Meeting (October or November) of the SOCIETY. The term of office shall be two calendar years, beginning in January of the following year. Hard copy ballots will be available at the Annual meeting or may be obtained in advance from a member of the Nominating Committee. 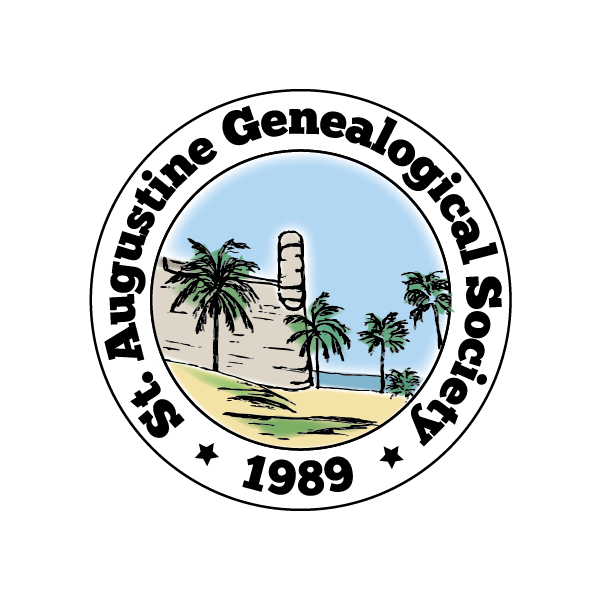 If SOCIETY members are unable to attend and cast their vote at the designated Annual Meeting, ballots will be made available on the St. Augustine Genealogical Society website (https://sagssupport.org). Ballots may also be downloaded, mailed, emailed or given to a member of the Nominating Committee in a sealed envelope no later than 72 hours prior to the election date. Special elections, when necessary, will be conducted in the same manner. Issues presented at the General Member Meeting require a simple majority of attending members in good standing for approval. When a vacancy occurs in one of the Offices, the Executive Committee may appoint a member to fill such vacancy until the next Annual Meeting when elections are held. The Executive Committee shall be responsible for the day-to-day operations of the SOCIETY and shall act on behalf of the members in all matters. The Executive Committee shall enforce the Constitution and Bylaws by declaring null and void any practices or procedures not in accordance with the Constitution and Bylaws. Executive Committee meetings should be held monthly, in advance of the General Membership Meetings, for the purpose of conducting SOCIETY business. However, the Executive Committee shall meet at any other such times and places as may be necessary for the fulfillment of its duties. A meeting of the Executive Committee may be called by the President or by any two members of the Executive Committee. The reporting of actions of the Executive Committee shall be offered to the membership. The Executive Committee may meet and vote in person or by a mutually agreed upon method of communication, however voting will require that a quorum be present. A quorum of the Executive Committee shall be a simple majority of its members. For example, with five (5) officers and four (4) filled Committee Chairs, a quorum would be five (5) out of the nine (9). Approval for any issue requires a simple majority. Without a quorum, the Executive Committee can meet to discuss issues but may not vote. The Immediate Past President’s responsibilities shall include serving as a non-voting member of the Executive Committee and as advisor to the President. However, the Immediate Past President will be a voting member to break a tie and/or to meet the quorum requirement. The nature of the Standing Committees and their duties shall be flexible so as to reflect the current and future needs of the SOCIETY. As a result, the creation of each Standing Committee shall be made by the President in concert with the Executive Committee and listed in the Policy and Procedure Manual along with their respective duties. The Chair of each Standing Committee shall be appointed by the President within four weeks after the close of each Annual Meeting. The term shall be two years or until successors are appointed, and an indefinite number of reappointments is permissible. The Chair of each committee will choose the committee members and the President shall be an ex-officio member of each committee. A Standing Committee Chair failing to perform their assigned duties may be dismissed by the Executive Committee and a new Chair appointed. Special Committees may be created at any time and shall consist of one or more members appointed by the President and/or the Executive Committee. By example, an Audit Committee and a Nominating Committee are considered Special Committees due to their short-term requirements. Special Committee Chairs shall be non-voting appointees, and do not affect any quorum determination of the Executive Committee. Any Special Committee shall automatically be dissolved upon completion of the special duties for which it was formed. Eligibility for membership shall consist of a personal interest in preserving and perpetuating the records of our ancestors and locating and preserving public and private genealogical records. An applicant shall request membership by completing and submitting an application for approval by the Membership Committee. (2) Household Annual: Includes all persons residing permanently in the same household. Each adult member shall be entitled to one vote, to a maximum of two (2) per household membership. Each Household membership is entitled to one (1) set of publications. (4) Household Lifetime: Includes all persons residing permanently in the same household. Each adult member shall be entitled to one vote, to a maximum of two (2) per household membership. Each household membership is entitled to one (1) set of publications. (5) Institutional: Ineligible to vote, as these are primarily publications subscription members. (1) The annual dues for the ensuing fiscal year shall be established at each Annual Meeting and announced to the membership immediately following the Annual Meeting. (2) Annual dues for each year shall be due and payable at the beginning of each calendar year. (3) If dues are not received by January 31st, a reminder notice shall be provided to the member by the Membership Chair. If a member’s dues remain unpaid on March 31st, Executive Committee action may ensue. A member joining the SOCIETY in the months of October, November, or December is a member for the next calendar year (or a total of up to 15 months). (4) Lifetime dues may be adjusted by action of the Executive Committee and announced to the membership immediately following the Annual Meeting. Resignation of membership shall be made known to the Membership Chairman in writing, and there shall be no remission of dues. The SOCIETY may honor, by presentation of suitable certificates, individuals or organizations that have rendered outstanding service to the SOCIETY. Such honor shall be expressed only by a resolution of the Executive Committee. General Membership Meetings shall be held at a time, place and in a format determined by the Program Committee and coordinated with the President. Program Committee proposals will be subject to approval by the Executive Committee. (1) In a non-election year the Annual Meeting shall be held in October or November at a time and place determined by the Program Committee. (2) In an election year the Annual Meeting shall be held in November at a time and place determined by the Program Committee. The official publication of the SOCIETY shall be called THE ANCIENT CITY BULLETIN. Material incorporated in the SOCIETY’S official publication shall be related to the subject of genealogy and history related thereto. Statements of opinion or fact made by authors of papers or articles are to be accepted as the author’s own. The SOCIETY accepts no responsibility for the accuracy or correctness of any statement of the contributors. Occasional publications such as a Membership Directory, Newsletter, or other material of interest to the members of the SOCIETY, may be published at the direction of the Executive Committee. SOCIETY Publications, such as THE ANCIENT CITY BULLETIN, Member Guides and other publications are licensed using the Creative Commons Attribution-Noncommercial-ShareAlike 4.0 International License. Ownership of articles submitted by members remains with the author. Authors who prefer a different Creative Commons license for their submission will include their licensing option at the end of their submitted article. Learn more about Creative Commons and your licensing options at creativecommons.org/share-your-work/. An ongoing inventory of all property – real, personal or mixed, tangible or intangible – donated to, purchased by or offered to the SOCIETY as a loan or gift, shall be maintained by the 1st Vice President. Bi-annually, and prior to the transition of responsibility to a new Executive Committee, the 1st Vice President shall make a proper accounting thereof. If at any time the value of the property warrants, and it is so directed by the members, the 1st Vice President may be required to furnish a suitable bond, such bond to be paid by the SOCIETY. Genealogical books, periodicals, and publications offered to the SOCIETY, instead, shall be donated to the St. Johns County South East Branch Library. No part of the net income or assets of the SOCIETY shall inure to the benefit of any private member or individual. Any property of which the SOCIETY shall be or become the owner shall, for purpose of enjoyment thereof, be considered to be equally the property of all the members except that no member may remove or sell his share under any circumstances. In the event of dissolution of the SOCIETY, the funds and property then owned by it, shall be distributed as a gift to such non-profit libraries, and/or other non-profit educational organization, institutions and foundations whose aims and purposes are similar or allied to those of the SOCIETY, as determined by the Executive Committee. The fiscal year of the SOCIETY shall start on January 1st and end on December 31st of each calendar year. These Bylaws may be amended at any time by the procedure for amending the Constitution as set forth in ARTICLE VIII thereof. These Bylaws may be amended by a two-thirds majority of the votes cast, providing that notification of the proposed amendment shall have been sent to the members at least three weeks in advance of the meeting.